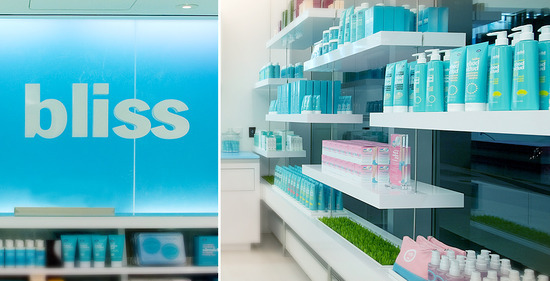 Bliss has partnered with Gilt Group to host exclusive multi-city online sales this weekend – offering treatments, packages and cult-fave products for up to 60% off. Log onto Gilt.com (http://gilt.com/bliss) this Thursday, September 16th at 9AM PT (12PM ET) through Saturday, September 19th at 9AM PT and take advantage of these gorgeous beauty deals. Angelenos: If you haven’t experienced Bliss Los Angeles inside the W Westwood – this is the perfect opportunity to do so. Treat yourself! SALE Preview: Choose from the popular Bliss Triple Oxygen Treatment, a three-step complexion-reviving facial; the Blissage 75, a heavenly full-body massage; and the Homme Improvement Facial for Spagoin’ Guy; Or, pick up some spa-quality treatments to bring home, like Peeling Groovy, a gentle exfoliator. …Because the only thing better than following your Bliss is following it at up to 60% off !